This August, the Marvel Universe prepares for the biggest battle it’s ever faced – but first, Marvel is proud to your new look at Infinity #1! 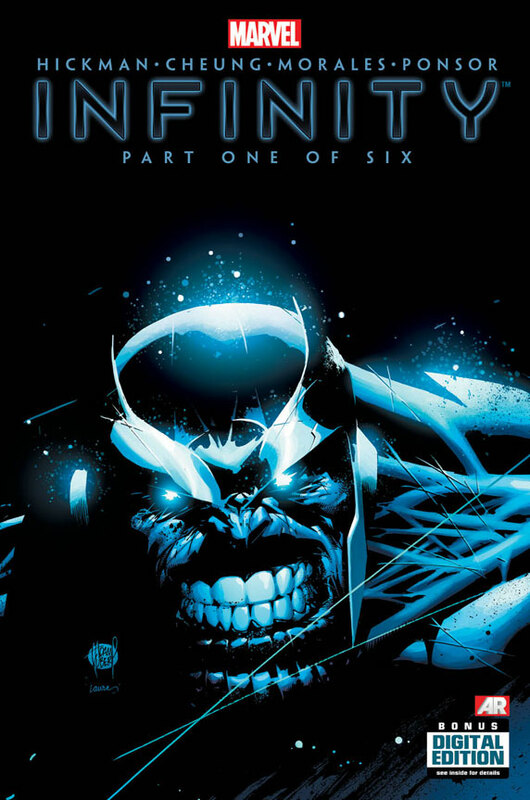 Infinity, the six part blockbuster comic event of the summer, brought to you by the star studded creative team of Jonathan Hickman, Jim Cheung, Jerome Opena & Dustin Weaver, takes fans to every corner of the Marvel Universe, and beyond! 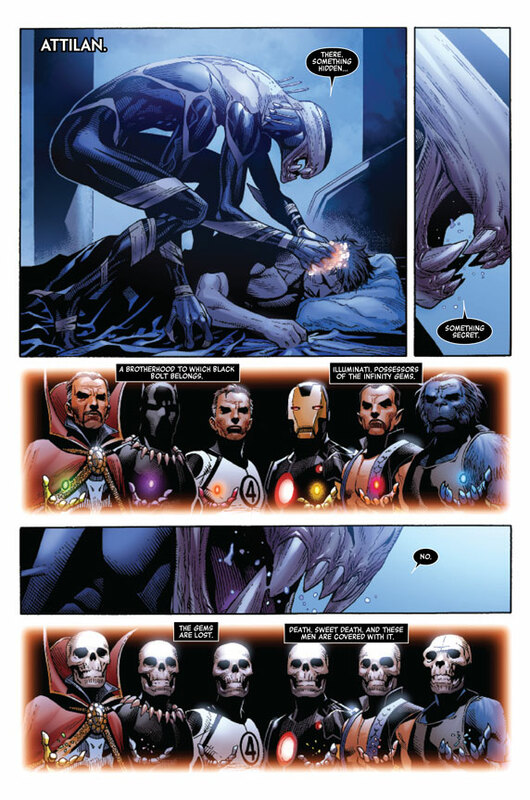 Earth has been marked as an “Avengers World”, protected by Iron Man, Captain America, Thor and more from the deadliest threats facing humanity. 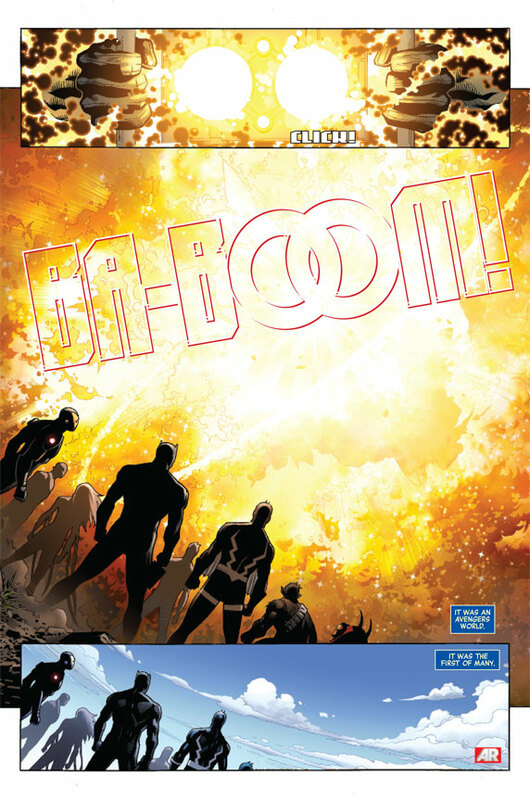 A powerful and destructive race is on a collision course with Earth and the only thing in their path is the Avengers! 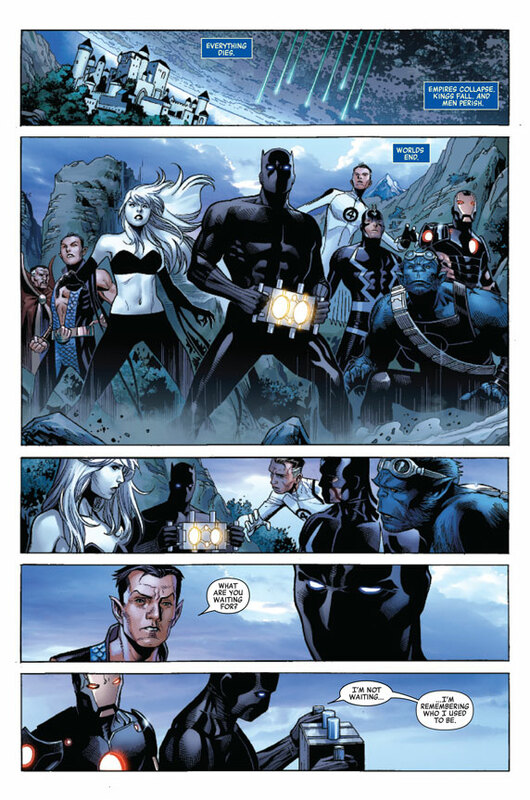 But even Earth’s Mightiest Heroes realize the one hope of defeating this dire threat is to unite every great hero across the cosmos…because only with a united Avengers Universe is there any chance of survival!